I can be contacted via the Events page of this site. 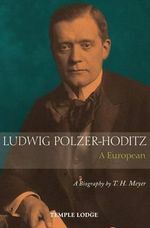 This detailed study by Thomas H. Meyer of Basel of one of Rudolf Steiner’s closest esoteric pupils, Count Ludwig Polzer-Hoditz (1869-1945), a man who was especially involved with the political issues of Central Europe and with the origins of Social Threefolding as well as with karmic research, was originally published by Perseus Verlag (Basel) in German in 1994. This translation was made from the revised and expanded 2nd edition of 2008. “Listening between the lines”, we can note that Glaziev, in his references to ”Lisbon to Vladivostok” and the context in which he speaks of this, is very aware of that which the geostrategists of the British Empire 100 years ago (e.g. Halford Mackinder) were most afraid of, and also their successors in the USA today (e.g. Zbigniew Brzezinski) : the possibility of real economic and political/diplomatic/military cooperation between Russia and Europe (especially, but not only, Germany). Furthermore, there is the even greater challenge to USuk power from Europe-Russia-China (trans-Eurasian) links, a challenge which Glaziev is clearly also aware of and striving for. He knows that USuk are currently using Ukraine as a hammer to break the growing Europe-Russia economic links; he can be sure that after separating Russia from Europe, USuk will turn to try to break – by one means or another – the Russia-China links. Unfortunately, Glaziev nowhere – in this interview at least – reveals his thinking to be anything other than thoroughly materialist. In response to Russia’s absorption of Crimea, some voices in countries that were formerly part of the USSR and are now ‘independent’ are reacting irresponsibly by calling for action by NATO. They talk about Czechslovakia and 1938 and forget what happened 6-9 August 1945. This is not 1938; we now have nuclear weapons and Cuba in 1962 should have taught us the folly of playing nuclear poker with the very exisatence of mankind. http://www.tspmi.vu.lt/tinklarastis/2013/10/tomas-janeliunas-the-main-advocate-of-the-eu-eastern-partnership-programme/ Note the reference to Brzezinski’s Grand Chessboard here. For Lithuania, given the country’s European integration experience, the Eastern Partnership has naturally become the No 1 priority of its EU Presidency. Lithuania strongly holds on the position that these countries should be helped to make the ‘right’ decision towards Europe and given a credit of trust in advance, especially now, when Armenia might be lost to Russia’s geopolitical project. Demand or “waiting and seeing” strategy is no longer feasible, if Europe does not want to lose the other three. The major battle is now for Ukraine (democracy ranking 80th). Georgia and Moldova will likely follow the pattern afterwards. Therefore, Lithuania hopes that during the Vilnius Summit of Eastern Partnership the EU Association Agreement will be signed with Ukraine and the Free Trade Agreements will be initialled with Georgia and Moldova. Zbigniew Brzezinski in his famous book on Eastern Europe ‘The Grand Chessboard’ states, that “with Ukraine Russia is an Empire, without Ukraine – it’s not. The politicians in Russia took it very literally and doing everything in their power to keep Ukraine in their sphere of influence”. With Ukraine Russia is an Empire, without Ukraine – it’s not. IN JUNE 1709 Peter the Great fought a decisive battle against the Swedish king, Charles XII, at Poltava, in what is now Ukraine. Ukrainians fought on both sides. Ivan Mazepa, a Ukrainian Cossack Hetman, had sided with Sweden in a quest for Ukrainian independence. But the battle ended in Sweden’s defeat: Russia swept westward, dominated all of the Baltics and turned Poland into a satellite. On November 28th the heads of European Union member states will gather in Vilnius, Lithuania’s capital, for a summit of the “Eastern Partnership”. This project was championed by Poland and Sweden in 2008 as a way of engaging with six former Soviet republics (Ukraine, Moldova, Belarus, Georgia, Azerbaijan and Armenia) after Russia blocked Georgia’s and Ukraine’s path to NATO. The success or failure of this venture depends on whether Ukraine, by far the largest and most important of the six, signs an association and free-trade agreement with the EU. Radek Sikorski and Carl Bildt, the foreign ministers of Poland and Sweden, have put their reputations on the line. Ukraine is of particular importance to Poland, for historical reasons, but also as an emblem of Poland’s dominant role in eastern Europe. For Mr Bildt, signing the agreement with Ukraine is a test of Europe’s pulling power and its ability to enact its own foreign policy…Losing Ukraine to Europe has long been a Russian nightmare. Although Ukraine declared its independence 23 years ago, Russia has never fully internalised it. As Zbigniew Brzezinski, national-security adviser to President Jimmy Carter, explained two decades ago: “Russia can be either an empire or a democracy, but it cannot be both …Without Ukraine, Russia ceases to be an empire, but with Ukraine suborned and then subordinated, Russia automatically becomes an empire.” The “loss” of Ukraine would push Russia’s western border back to where it was in the 17th century. It would also make a mockery of Mr Putin’s project for a Eurasian union and his mission as a gatherer of Russian lands…. [final sentence:] Even if the Swedes and Poles triumph in Vilnius, they would be foolhardy to celebrate. Despite the fact that Ukraine’s participation in the Common Economic Space with Russia is natural and vital for the development of Ukraine’s economy, culture and education, it is being opposed by the anti-Russian policy of Washington and its NATO allies in Kiev. This policy is steered by Zbigniew Brzezinski who convinced the American geopolitical machine that Russia could never return to its Great Power status without Ukraine. The main problem is the nature of the EU itself. It is not ‘European’ and it is not a bridge; it is a sub-western* construct – a transatlantic superhighway – serving the transatlantic interests very capably presented through Zbigniew Brzezinski in 1997. Those who see through the EU project have to decide whether they feel it should be accepted as such and that the attempt could be made to metamorphose it into something ‘good’, or else, that it should be scrapped and Europeans begin again with an altogether different form of associative community. Personally, I’m not convinced that the former is the way to go. It seems to me like it would be an attempt to pour ‘new wine in old wineskins’. A real alternative has been available to Europe for almost 100 years since Rudolf Steiner first spoke about the threefolding of the social organism. 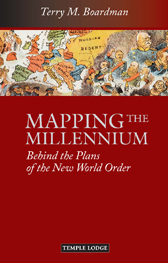 My first book Mapping the Millennium – Behind the Plans of the New World Order (original cover shown on this page) , first published in 1998 by Temple Lodge Publishing of London, out of print for the last few years and hard to come by, was re-issued by the same publisher this month, May 2013. It is available via the usual outlets price £13.99. is DIRECTLY contradicted by the words of the Medical Examiner in the first video on the Cryptogon page who said that a rifle was used in the killings. By the way, 14 December was the day of the fatal attack on Kaspar Hauser who was born in 1812, 200 years before. You might think that is stretching things too far, but if you take seriously the possibility, probability, that that guy in the Cryptogon video – Gene Rosen – was acting and lying through his teeth about such an event then you have to ask yourself what kind of ‘per-sona’ is he? What level of evil are we dealing with here? And in the year, the Kaspar Hauser anniversary year, in which the Jimmy Saville affair was also blown wide open in the English-speaking world, the worst levels of evil are surely those in which horrendous things are done to children. If Kaspar Hauser is as important a spiritual being as he is considered to be, then he surely represents something like the true child within each of us and as such, it’s not perhaps too far-fetched to imagine that the day chosen by evil forces for such a deed against children might be associated with him, especially in ‘his’ anniversary year. 14 Dec is the 348th day of the year, leaving 17 days left to run before the end of the year. Kaspar Hauser died on the 17th December from the wounds he received on the 14th. After the absurdity of the O’Bama kills Osama affair, it’s clear that the PTB in the US now feel they can pull off any stunt, do a little “media magic” hocus-pocus over it and Joe Public in the US will just shrug and let them carry on. By the way, I very much recommend the following on 9/11 if you haven’t seen it; it’s made by architects, engineers, physicists, chemists and other knowledgeable people: http://www.youtube.com/watch?v=Ddz2mw2vaEg The fact that the mainstream media ignores this kind of evidence is IMHO evidence of…. dare I say it…. a cover-up. Yet Afghanistan, Somalia, Yemen and now Mali go on, alljustifed by 9/11 and the so-called ‘al-Qaeda threat’. One of the things that operates like a clamp on some people’s minds is the thought that “our government would never do that!” which keeps them from seeing that a government could actually deliberately bring about the deaths of its own citizens by commission or omission. People on both right and left fall for this – the right because of the patriotic “my country right or wrong” attitude, and the left because of their tendency to believe in government and state action (as a symbol of community and protection of the weak) againsy selfish and greedy individuals. Especially when there’s a leftwing government in power, they find it hard to conceive that it could kill its own citizens for ulterior motives. But that’s what our government did in 2003 when we invaded Iraq and what the American government did then too and also in 1991 and also in 1967 when it allowed the Israelis to attack an American warship and kill many of the crew, the USS LIberty. Here are two documentaries on the issue, one British, one American. but given the short life cycle of Japanese administrations (most recent Prime Ministers have lasted for 18 months -2 years max) and the great pressure from Big Business, I don’t hold out much hope for success from the politicians, and there is no firm deadline given. It’ll have to be up to the people to hold the government to its word. This is the best piece I’ve read on this in a long time. It makes clear that Japan – thanks to the USA – already HAS nuclear weapons de facto AND the missiles to deliver them – both of them developed covertly to hide the fact from the Japanese people. Hence the secrecy over Fukushima and Japanese governments’ secrecy over the nuclear programme from the beginning in the 1960s. Though I do not sympathise with the line taken by this globalist-aligned writer, I think he makes one very cogent point: behind the Senkaku issue potentially is indeed the Ryukyu (Okinawa Islands) issue. The Senkakus never actually belonged to the formerly semi-autonomous kingdom of the Ryukyus, but the Japanese government since the 1890s has always acted as though they did. The Japanese feudal domain of Satsuma (based in Kyushu, southern Japan) conquered the Ryukyus in the early 17th century and brought them under their control. The central government in Edo (later Tokyo) ignored this until the end of the Shogunate in 1867. When the new imperial Meiji government took over in 1868, Japan moved to take over Okinawa for the Japanese State in 1879. If the Japanese nationalists and/or government can succeed in somehow linking the Senkakus to the Ryukyus in the mind of China and the world, then they can start to accuse China of harbouring desires to seize the Ryukyus. Until the 1870s the Ryukyu Kingdom used to pay tribute to China, and today some Chinese nationalists are already calling for Japan to quit the Ryukyus, saying they rightfully belong to China. Certainly, the Chinese navy would be very happy to have bases in Okinawa, as this would enable it to ‘break out’ into the Pacific, something the USA is determined to prevent (see CFR magazine Foreign Affairs May/June 2010 article by Neo-Con hawk Robert Kaplan). The Sino-Japanese dispute has escalated into WWII memories, threats and boycotts as well as unleashing demonstrations. In its relations with Japan, China frequently brings up the topic of Japanese aggression and atrocities in China from the late 19th century Sino-Japanese war continuing throughout World War II. The dispute with Japan is now part of the legacy of World War II and China claims that under the Potsdam Declaration of 1945, Japan was obligated to return all the territories seized illegally. The above means that the dispute over the islands is now connected to one of the most highly charged issues in Sino-Japanese history, making it a matter of national honor for the Chinese that is not subject to negotiation. In the interim, China has allowed anti-Japanese demonstrators a relative freehand (“Their feelings are perfectly understandable” explained the Chinese Foreign Ministry) and the Japanese Embassy in Beijing has issued warnings to Japanese citizens and businessmen to take precautionary measures. Japanese participation in public and private events in China has been canceled as part of the anti-Japanese mood. New Japanese populist party headed by young charismatic leader from the working class, Toru Hashimoto, Mayor of Osaka, includes disputed islands in its logo. 2 mini-masterstrokes of BBC propaganda this morning (9 Dec. 2014) on the BBC Radio 4 flagship programme “Today”connecting Syria and the 1914 Christmas Truce! A nice piece of propaganda for MI6 and the Foreign Office. For 3 years now the BBC have been shovelling this kind of thing into our ears with hardly a word about whose money and supplies have been keeping the anti-Assad forces going all this time. 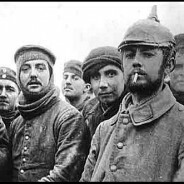 After him, the subject was changed to the Christmas Truce 1914; the scene was set, a recording was played of an old British veteran, now long since deceased, recalling the Germans singing “Heilige Nacht, Stille Nacht” and how the British sang The First Noel” in response, and then – like a rabbit pulled out of a hat by a conjuror – on came Prince Philip Kiril of Prussia, a Lutheran minister and great-great-grandson of Kaiser Wilhem II (! ); the Kaiser was described as “the man who signed the declaration of war”, though it was not mentioned against whom. Ignorant listeners might have assumed he’d signed the declaration of war against Britain! The interview with the Prince (you can hear it here: http://www.bbc.co.uk/programmes/b04tjdlg) was mostly concerned not with the Christmas Truce but with the question of German war guilt! But this was mostly the fault of Prince Philip. Asked for his views on the Truce, he began rather modestly with a couple of shy references to Christopher Clark and his point in “The Sleepwalkers” that “there is guilt on all sides” but the Prince quickly went on to say that Germany had much to feel guilty about and especially his great-great grandfather for signing the declaration of war and that he (Prince Philip Kiril) wanted “to ask for forgiveness”. John Humphreys asks: “Do you believe Germany needs forgiveness still?” The Prince replies that in the 10 Commandments [so, the Old Testament] it’s said that the Bible says that God pursues sins to “the 3rd and 4th generation” and so “on a spiritual level it’s still necessary” [for Germany to ask for forgiveness] and that no-one in his family ever did this so far and so it’s good to do” – despite his initial comments about Clark and his point that all are guilty! Humphreys then asks him how he’d like to see the German people react to this anniversary. The Prince responds that the Germans lost so they don’t like to commemorate it much, but that they’re quite successful at accerting their guilt, especially for WW2, but for WW1 it’s another story. But nobody could argue that there’s much guilt on our side of course.” This kind of tosh from the great-great-grandson of the Kaiser was a godsend for the BBC. Yes, there was German guilt, but there was just as much if not more on the other side, but he ignored that and spoke only about German guilt, which is what Humphreys and the BBC want to hear. After the 8.30 news headlines, an item at 8:43 was an interview with American anthropologist Alan Page Fiske is an anthropologist and author of who’d just published a book “Virtuous Violence” (so, a book plug for him) asserting that exhaustive research from around the world has shown that when most people commit violence they are convinced they are doing it for “moral reasons” and that they are “morally justified”. The book questions that there is an absence of morality in the use of violence: as the interviewee put it in anthropology-speak: “most violence is intended to regulate relationships” or (subtext): it is OK to use violence for moral reasons. The other interviewee, a British prof. of forensic psychiatry at Oxford University thought this was “a valuable contribution” (!) but it might be “difficult to test this theory in a lean way [with] lean scalable interventions”. The American insisted the theory HAD been tested and said we need to change our culture to exclude violence-related regulation of relationships and then violence would decline. The interviewer, smelling a possible problem perhaps regarding responsibility for WW1 (?) then asks: “the fear might be [Nb that vague phrase!!!] that if we go too far trying to see how the perpetrator saw their actions (e.g. Berlin in 1914 perhaps???) we might start to excuse what they’ve done?” The Oxford prof. ducked that and agreed with the American prof on the usefulness of his contribution and said we need to try various interventions such as teaching gang members about morality and also “simple interventions” such as improving health and social services provision etc. in order to reduce violence. End of interview. This on the day of the US Senate report about the extensive use of torture by the CIA against Guantanamo detainees which was the top news story on the BBC this morning, and a few days after the heavily reported (in Britain) US policemen’s violence against black males. Although the American prof. here was saying we can reduce violence by changing the culture to make violence a less socially acceptable form of “regulating relationships”, that’s very much for the future; he had nevertheless argued that in the past and still now, people do see violence as a socially acceptable way of dealing with problems and “regulating relationships”. That applies to wars as well as to individuals. So, after remembering the Christmas Truce – a drop of peace in an ocean of violence - the subtextual logic being presented here on the BBC would seem to be: “let’s bomb Assad and use our ‘virtuous violence’ to bring this awful Syrian war to an end just as that Syrian woman and her friends in the opposition sought to overthrow Assad by violence, and just as we brought the Kaiser’s Empire to an end by violence in 1914-18″ and let’s not show too much interest in the perpetrator and his motives otherwise our explanations of WW1 and WW2″ might come unstuck. Such was the subliminal message being very effectively delivered by the editorial skills of the BBC Propaganda Office this morning – part of a steady drip-drip approach. You might say: “but how were they to know the Prince would talk about Syria?” I think a better question would be: “who in the BBC invited this would-be “Prince of Peace” onto the show? Who knew what kind of man he is and what he’d be likely to say?” Or was it the Prince himself or even the cultural department at the German Embassy who contacted the BBC in order to appear on the programme? Either way, the BBC could hardly have hoped for a better supporter of their own lines of argument on both Syria and WW1.